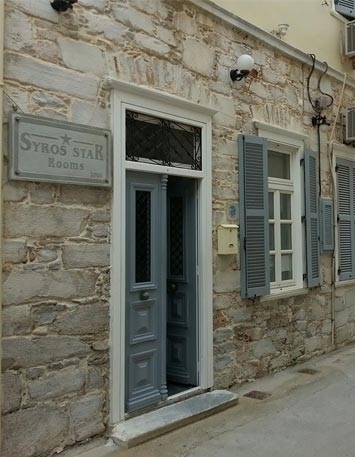 Syros Star is a family-run business with 10 rooms for rent in Ermoupoli, Syros. We are in the heart of the town, just a stone’s throw from the famous Town Hall in the central square, beside the busy commercial centre with café bars, shops, restaurants and bars. 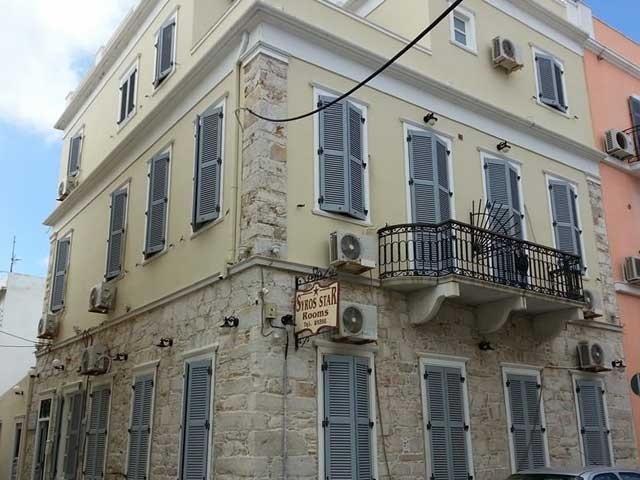 Because of our location, Syros Star rooms for rent are suitable for everyone visiting the island of Syros for business. 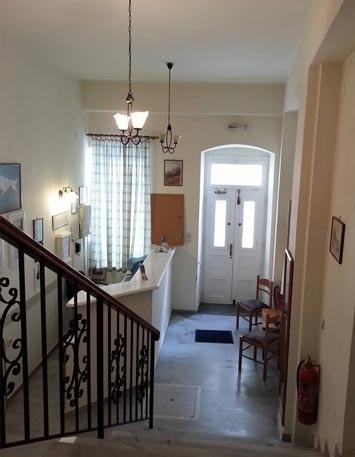 Just 15 metres from the bus stop for the KTEL buses and the Minibuses, 50 metres from the taxi rank and 150 metres from the port, Syros Star is the perfect Business Hotel for all business travellers visiting the island as its ideal location makes it easy to reach anywhere on the island . 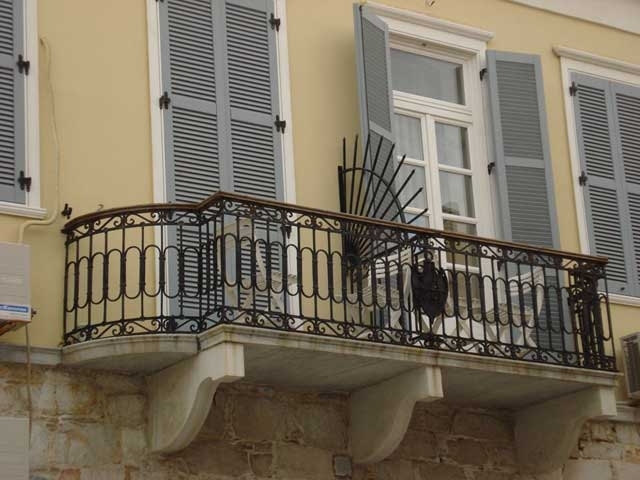 We are open all year round, and are based in a beautiful neoclassical building which dates from 1867. We renovated the old town house, and created a uniquely hospitable atmosphere which lives up to the expectations of everyone who visits the island, whether for work or for pleasure. 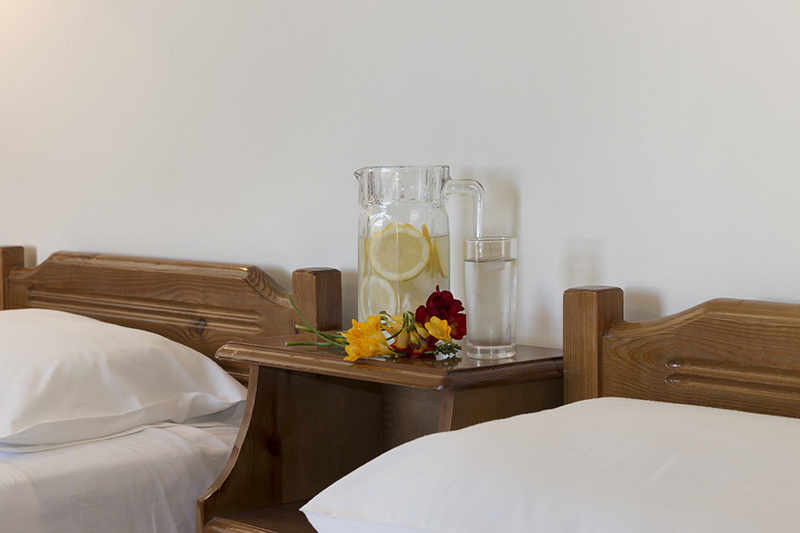 We offer 6 double rooms, 3 triple rooms and 1 four berth room for rent. Syros, with the beautiful town of Ermoupoli and its dreamy beaches, is an ideal destination for short stays and for long vacations. It offers each visitor a choice of entertainments and activities, and is perfect for exploring by foot. And, of course, every stay on the island is enhanced by the welcoming spirit of its inhabitants. 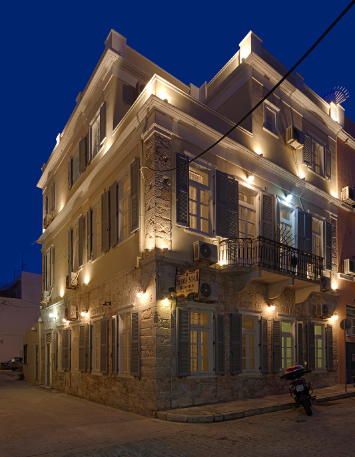 Syros Star rooms in the capital of the Cyclades are open all year, every year, to offer you high-quality hospitality.